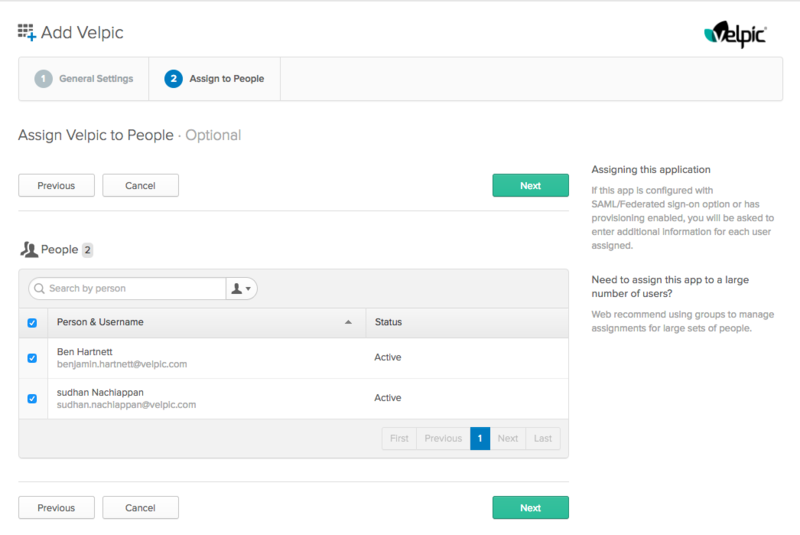 Single Sign On (SSO) is a great way to save time and increase productivity. 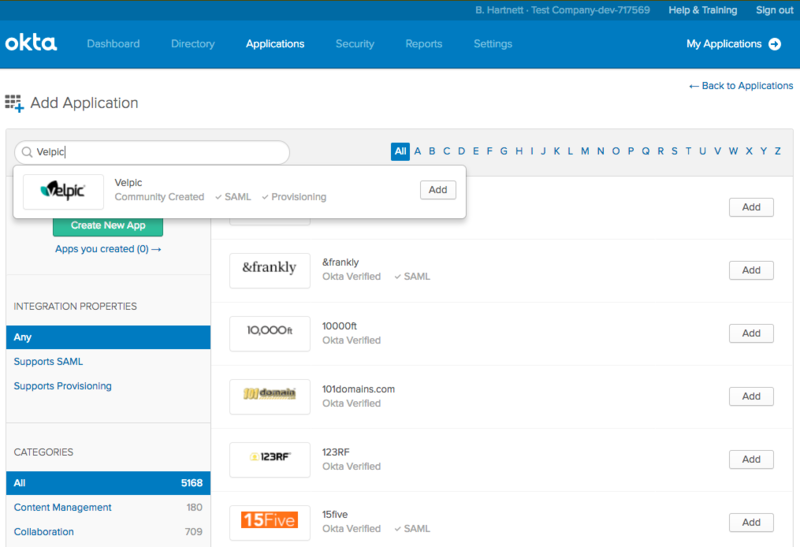 With SSO, you only need, for example, to login once from Okta to have access to Velpic. That's one fewer password to remember. 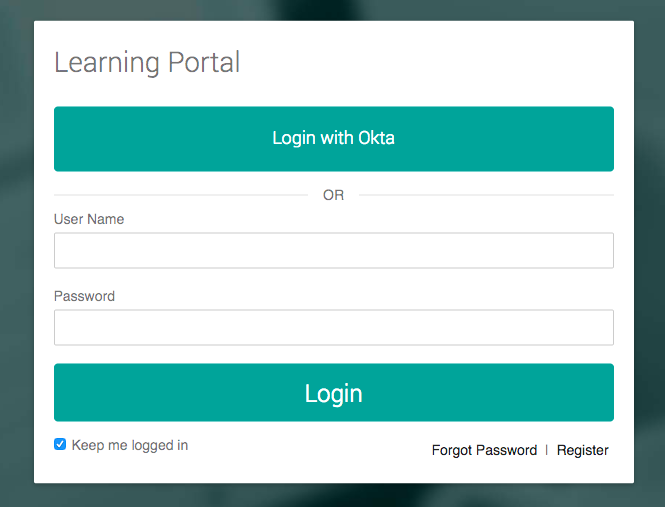 By the end of this article, you shall know how to configure the Velpic app found in the Okta Application Network to log into Velpic using SAML SSO with just-in-time provisioning. 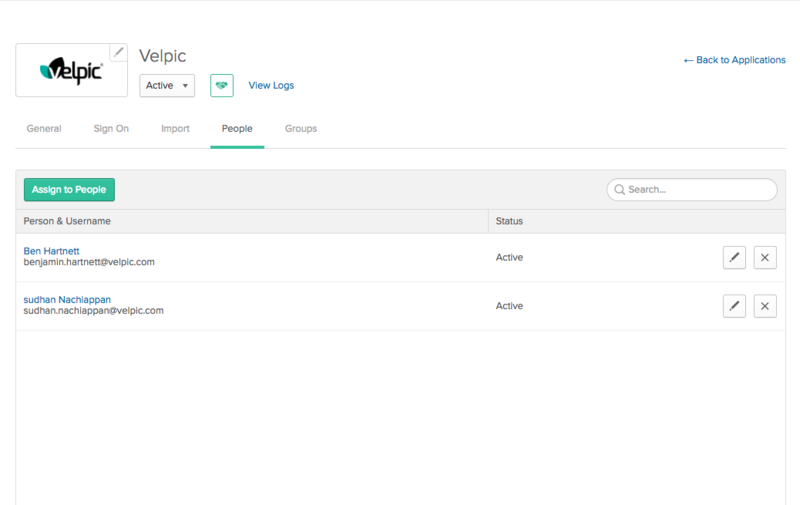 Before you start, you should have a Velpic account with access to the Integration tab and be able to login with an admin account. 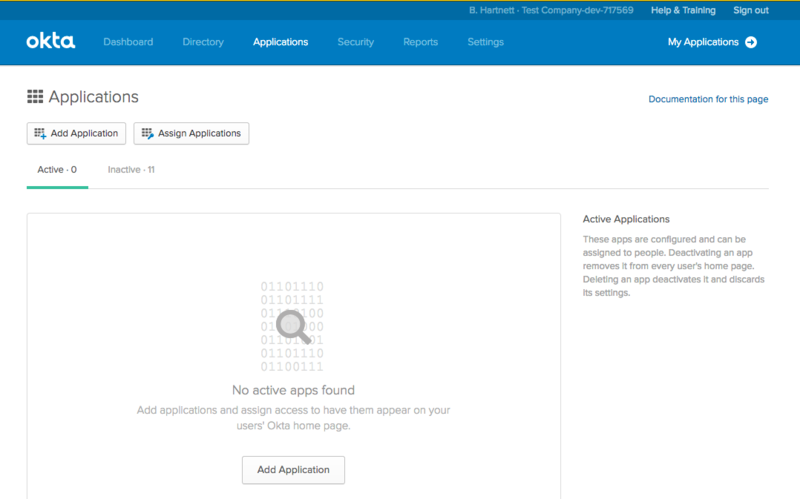 Login to your Okta account and click on 'Applications' (located on the Applications tab on the top menu). 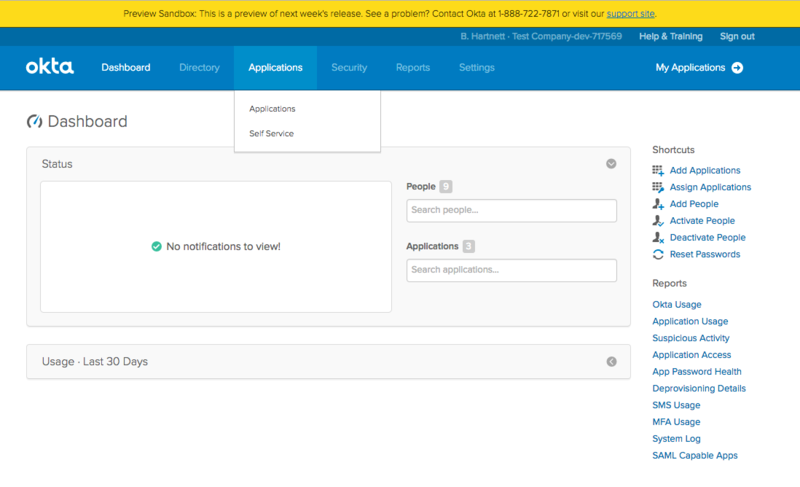 Type 'Velpic' in the search box and select the Velpic SAML app. You should now see this screen. 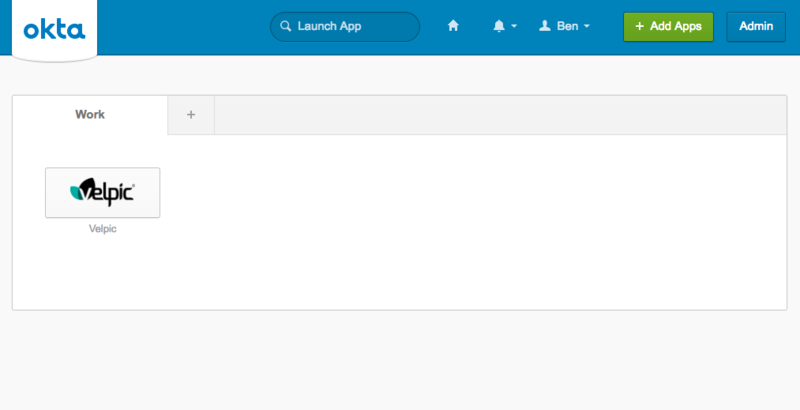 Just paste in a sample URL in the 'Single sign on URL' field for the time being so we can get to the next screen. 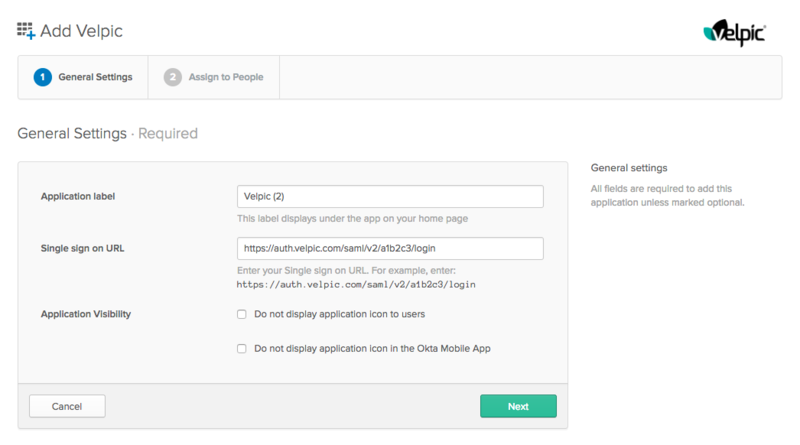 Select the users you wish to assign to the Velpic app and click on the Next button. As an option, you can also update your usernames. When finished, click 'Done'. You should now see this page. Click on the 'Sign On' tab. 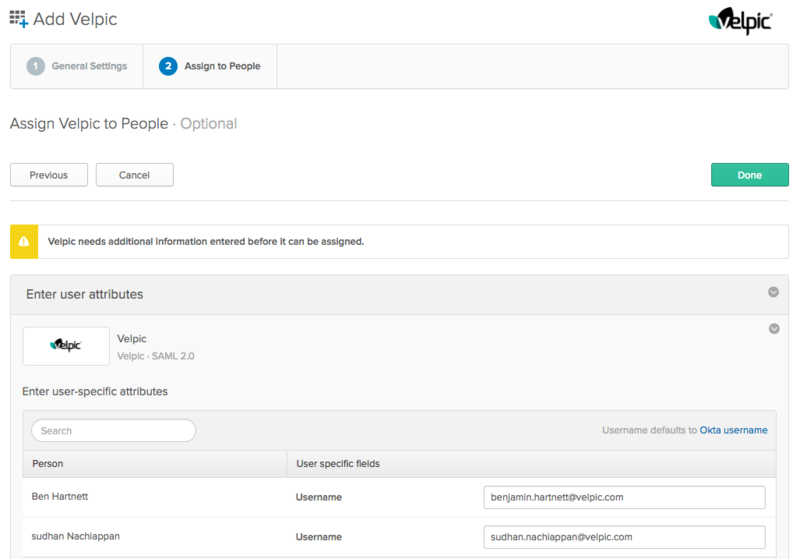 Click on 'View Setup Instructions' and follow the rest of the steps to configure SAML in your Velpic account as well as configure the 'Single sign on URL' which should be copied from the Okta plugin created in your Velpic account. 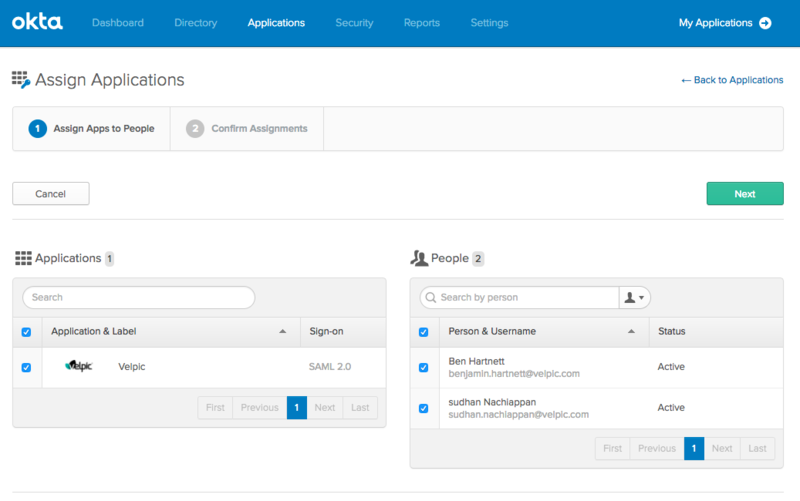 In Okta, click on 'My Applications' and click on the Velpic app icon to login to your Velpic account using SAML SSO. 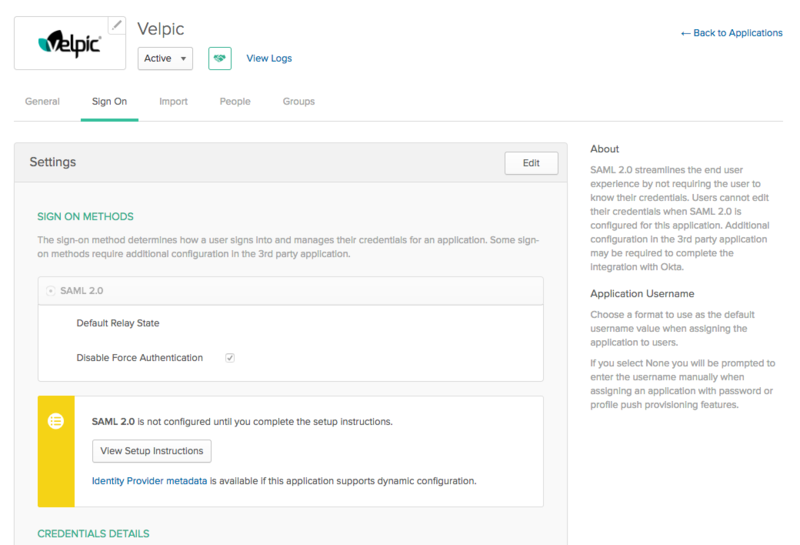 Now you can login to Velpic using SAML SSO from the Velpic login page.